You are at:Home»Category: "Pool Water Testing"
Testing your pool water is a vital part of owning a pool. Today we’ll look into 3 simple ways to easily keep your pool water chemicals in check. Home pool water test kits are great. They’re accurate if used correctly. In this article we’ll give you 7 simple tips to accurately test your pool water. A growing number of pool owners are moving away from liquid drop test kits and are embracing pool test strips. We investigate the pros and cons of each. 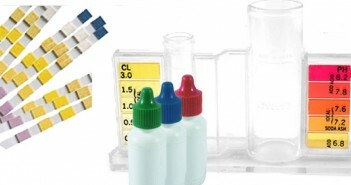 Learn how to use two types of pool chlorine testing kits; Pool Test Strips & Liquid Test Kits. Discover what to do if your pool chlorine level is incorrect. 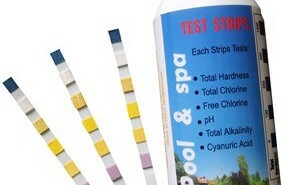 We show you how to use the two most common pool PH testing kits; Pool Test Strips & Drop Test Kits. 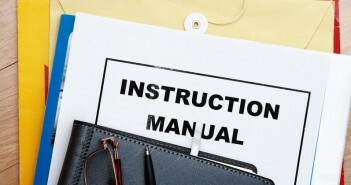 You’ll also find out how to adjust your pool’s PH level. 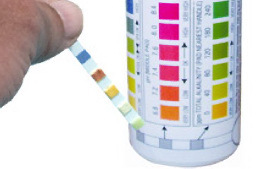 Pool test strips these days are taking over from traditional drop or liquid pool water testing kits. We show all you need to know about test strips.